Friday, June 9 from 6 to 9 p.m.
On the heels of our Emergent 2017 exhibition—part two of what might be thought of as a “before and after” pairing—is Encore: A Heights Arts Invitational. For this exhibition, the gallery committee went back through the history of the Heights Arts gallery, including the early years during which William Busta was gallery director, and asked a small selection of artists whose work had made a particular impression at the time to come back and participate in an invitational exhibition featuring current work. Intentionally covering a range of media, that exhibition includes, in alphabetical order, Christi Birchfield (drawing/printmaking), Grace Chin (jewelry/metals), Dexter Davis (collage, multi-media), Yumiko Goto (ceramics), Doug Meyer (furniture), Mark Slankard (photography), and Douglas Max Utter (painting). 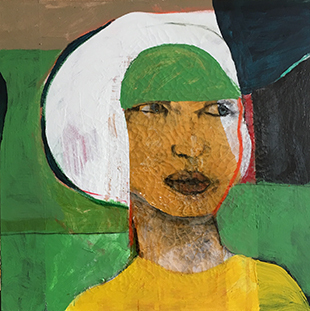 Join us for an opportunity to meet the artists and view Encore at an opening reception on Friday, June, 6-9 p.m.
Get the latest Heights Arts news delivered monthly to your inbox.